Tune in this week when we sit down with Steve Lehman as he joins us for the Musician's Show on Wednesday evening, 6-9p. Steve is an alto saxophonist, composer, and educator. He studied composition at Wesleyan University, under Anthony Braxton, Jay Hoggard, and Alvin Lucier. He also worked at that time with Jackie McLean. He then went on to receive a doctorate in music composition from Columbia University. He has since taught music at institutions across America and Europe. The Guardian has described him as "one of the transforming figures of early 21st century jazz." 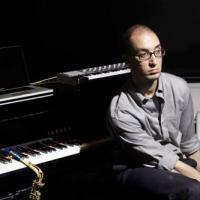 This program precedes Steve Lehman's upcoming residency at The Stone, from January 14-19. He will be performing there as the Steve Lehman Octet, with Steve on alto sax and live electronics, Jonathon Finlayson on trumpet, Mark Shim on tenor sax, Tim Albright on trombone, Chris Dingman on vibraphone, Jose Davila on tuba, Drew Gress on bass, and Tyshawm Sorey on drums.